September 27, 2009, part 1 of 1. Tonight we bring you a montage of tyranny from across the globe, as human rights are rolled back in so-called "democratic" nations. Our show includes highlights from the Pittsburgh G20 Summit where police used tear gas, pepper spray, rubber bullets and "sonic weapons" against University of Pittsburgh students during the Pittsburgh G20 Summit. Many of the students were not part of any demonstration but merely bystanders, curious to find a mass of armed riot police on their campus. We also include the full joint statement of warning to Iran issued by Obama, Sarkozy and Brown. 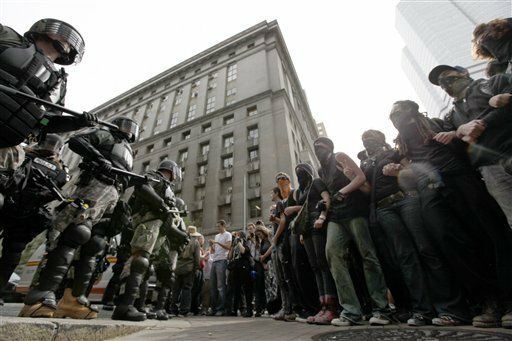 Highlights of the G20 protests and brutal police crackdown.